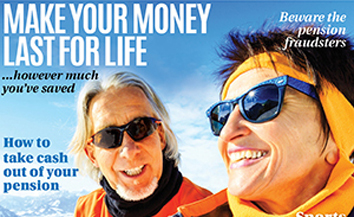 How to Retire in Style magazine, from the publisher of Moneywise are exclusively offering Silvercard+ members their latest issue for just £4 including free P&P (saving you 33%). Find out how to boost your pension income and get all the information about new pension rules. How to Retire in Style magazine explains the implications of the new pension rules, helping you prepare for your future by taking you through the different options available. The magazine will help you decide on the best mix of income options for you, whether it’s by taking cash, annuities, income drawdown or a combination of all three. We explore the pros and cons of each considering the key issues including tax and death benefits. Other features include taking cash out of your pension, recommendations to give your investment portfolio a boost, annuities in 2015/16, a guide to income drawdown, bridging the care gap, a customer’s Pensions Wise experience, and much much more.